Wow, it has been a crazy ride since I last dev logged. I've been to coast to coast from Game Developer's Conference and PAX East and a bunch of cool things inbetween (VGMCon in Minneapolis, MKE Gamedev Showcase, Midwest Gaming Classic, POWx7). First of all, thank you so much for checking out The Moon Fields at any of these shows. 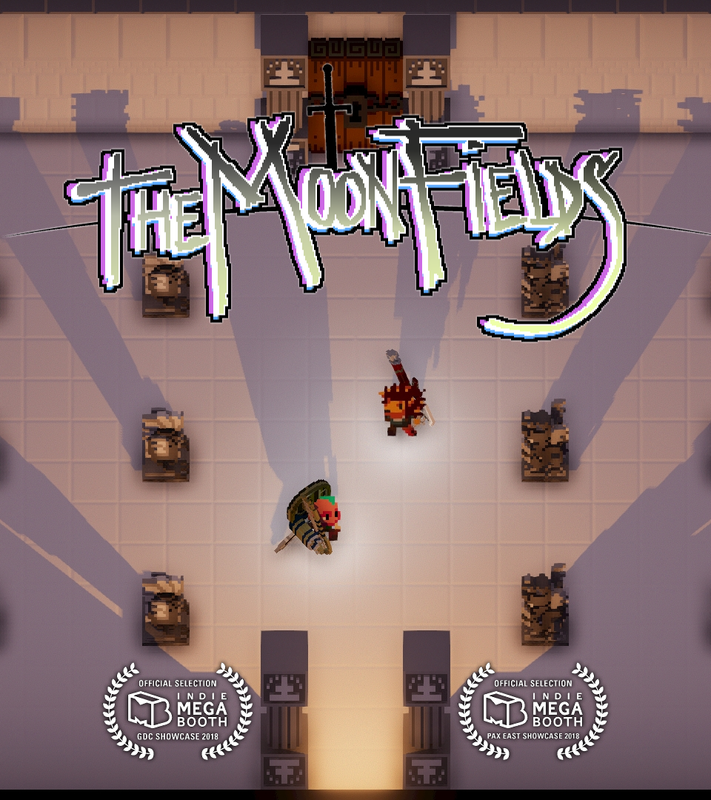 The game is definitely punching over its weight, but I think the kind of people who are into The Moon Fields are really into The Moon Fields. It's been a huge adventure traveling and meeting so many people. I won't be stopping until it's a huge adventure all on its own, and I really appreciate you being on this with me. Second of all, I got one more big convention lined up, and it's Indies at Anime Central Friday May 18th to Sunday May 20th. It's sponsored by World 9 Gaming. There will be 15+ game devs showing off great games there, and I'm super stoked to be showing off next to them. If you're interested in the animes and you're in the Chicago area, please stop by and check us out. Onto the game: there have been a ton of updates in the past month and a half. There haven't been too many systems updates, but there have been a lot of tweaks. 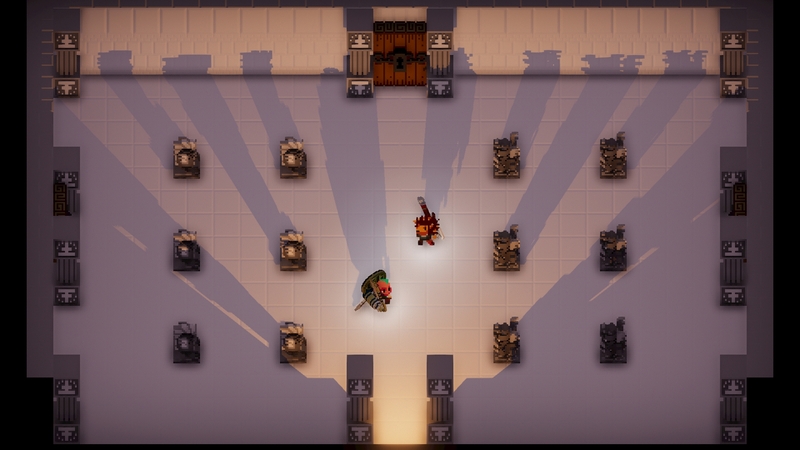 I'll go over the system changes and the big tweaks, and I'll post the changelogs since PAXEast below. The Bolt Javelin has been ramping up in power lately. It's got more forward momentum on its Forward Stab and it's got a lot more ammunition. The Halberd is the first in a few auto-combo weapons. It's Neutral finishes with a little bit of upward momentum, so if you follow it up immediately you can activate its Air attack. The Halberd's Air attack is pretty strong, so it's a very interesting mixup. The Big Hat standard kit has changed to add the Magic Potions. Running around the stage and popping a Magic Potion is a really great tactic to get where you want fast while still having Magic to spare. You can also throw them from above to stun folks to get space between yourself and an aggressive opponent. I changed the 2 meter Neutral Jump to a Backflip. Mechanically not much has changed, though it is exceedingly clear that you are jumping now. It's also much easier to differentiate the function; the Backflip jumps over attacks and the Jump gets you to higher ground. I'm very excited about this change. The Black Branch and Polished Blade both got new air attacks on Air Neutral. These are wide attacks meant to help with air combat. Pretty excited to see how these turn out. The Broadsword has been reworked so that it's still fast, but the Neutral to Forward combo is a lot easier to pull off. The Winged Spear, Knights' Sword, and Broadsword also have had their Air Neutrals changed. The Winged Spear Air Neutral now does the Long Stab; the Knights' Sword Air Neutral now does the Flurry; and the Broadsword Air Neutral now does the Forehand swing. More versatility, especially from the air, hopefully makes these guys more of a threat!